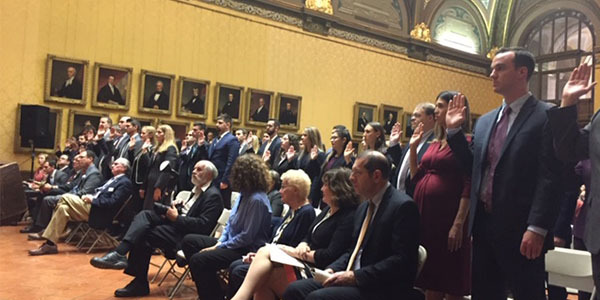 Attorneys who passed the July 2018 bar examination were sworn in as new attorneys in two ceremonies before the Supreme Court on Friday, November 2, 2018 in the Museum of Connecticut History. 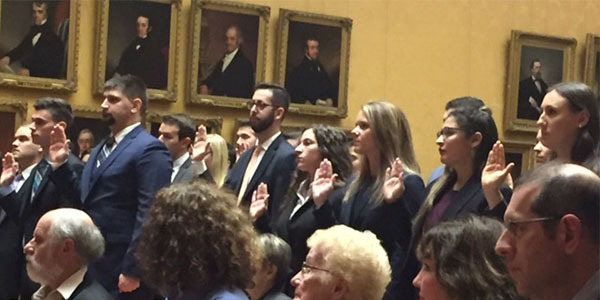 Two attorney swearing-in ceremonies that were held on Friday, November 2, 2018, in the Museum of Connecticut History. Candidates take the Oath of Attorney in the afternoon session. Candidates receive the Oath as New Attorneys in the morning session (preferred). Justice Andrew J. McDonald administers the Oath of Attorney to the candidates during the afternoon session. 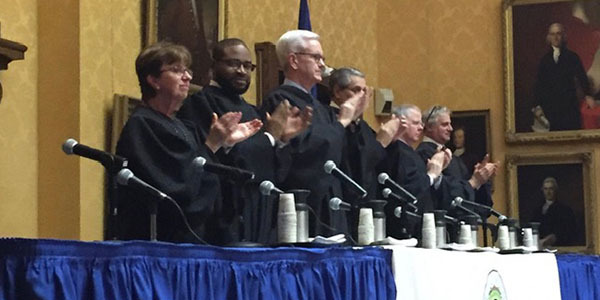 The Supreme Court applauds newly appointed attorneys in the afternoon. 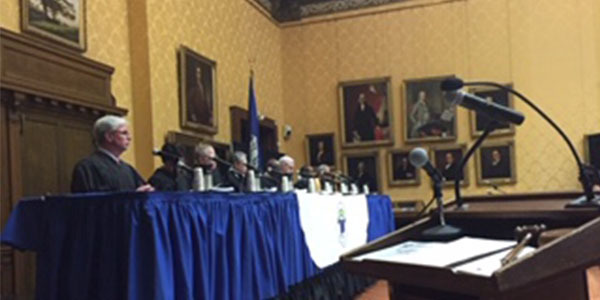 Jonathan M. Shapiro, President of the Connecticut Bar Association, welcomes new attorneys.